Some groups just have chemistry, no matter what their instrumentation or musical background. Something about them just works. 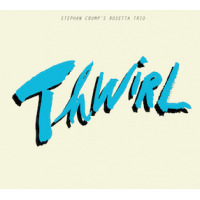 Stephan Crump's Rosetta Trio is one such group. Comprised of two guitarists-one electric and one acoustic-plus Crump's own resonant acoustic bass, the Rosetta Trio straddles the worlds of jazz, avant garde, and modern folk music with consummate ease and some seriously deep virtuosity. 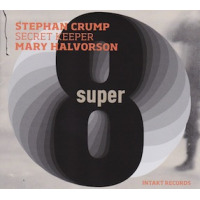 Crump is an admirably diverse musician who maintains working relationships with folk singer Jen Chapin (whom he's married to), saxophonist Steve Lehman, guitarists Mary Halvorson and Rez Abbasi, and pianist Vijay Iyer (none of whom he's married to), to name just a few. Guitarists Jamie Fox and Liberty Ellman are equal musical partners despite Crump's top billing. 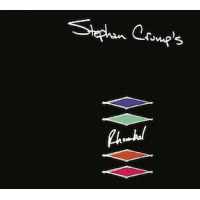 Crump first convened the Rosetta Trio in 2005, as a meditation on the effects of 9/11. Their first album, Rosetta (Papillon Sounds, 2006) was a revelation, and one of that year's most striking. Freely mixing and matching jazz, avant-garde, chamber music and folk influences, the trio produced a document of hushed beauty that transcended preconceived genre boundaries. The follow-up, Reclamation (Sunnyside, 2010) came a few years later, and it seemed that Crump was taking the trio in a decidedly more bucolic, countrified direction. As strong as Reclamation was, it was a bit of a letdown. Though the trio revisits the style, tinged with Gypsy jazz flair on "Reclamation Zone," and at length on "Still Stolid," it's just one of many musical facets on Thwirl. The strength of Rosetta Trio's music lies in its quirkiness and steadfast refusal to identify with any one style or school. Thwirl is a welcome return to the formula-free sound of their debut. The music, though understated, has a distinct forward-leaning rhythmic flow. You never miss the drummer. The trio addresses the matter quite literally on the title track, which weaves popping harmonics and percussive tappings into its melody. After a lush solo bass intro, "Ending" coalesces around the contrapuntal interplay of all three instruments, generating a rhythmic vortex of sorts as each player completes the others' phrases, gathering intensity as the piece progresses. "Whiteout" unfolds gradually out of a relatively simple 5/4 ostinato pattern, with Crump's Eberhard Weber-like arco bass in the lead role. 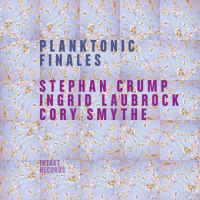 On "Flotsam," and "Palimpsestic," the trio demonstrates an uncommon knack for developing intriguing melodic and harmonic ideas out of abstract improvisational interactions. The more conventional tunes on Thwirl are no less engaging. "Conversate (Talking Wise)" has a wistful, jazzy flow that recalls some of Ralph Towner's work, as does "He Runs Circles," a pretty waltz that has Fox and Ellman swapping phrases over Crump's gently prodding bass. Track Listing: Ending; Reclamation Zone; He Runs Circles; Whiteout; Thwirl; Still Stolid; Conversate (talking-wise); Flotsam; Palimpsestic; Steel, Skin and Sky. Personnel: Liberty Ellman: acoustic guitar; Jamie Fox: electric guitar; Stephan Crump: bass.